Nofanity is a desktop application that censors swear words in YouTube videos. Nofanity will remove bad words from these videos so your kids will not have to be exposed to objectionable language. We uncurse your words so you won't have to. Nofanity takes any YouTube video, from music and gaming to reviews and general entertainment, and finds and removes any swear words in the video. It does this by utilizing state-of-the-art speech recognition technologies in order to identify any curse words and the times they are spoken at in the audio (we call this process CurseSearch). Nofanity then bleeps out that part of the audio, effectively removing the swear words from the video. For a video on how Nofanity works and a live demonstration of the app's functionality, watch the news story featured on CBS by clicking Watch How It Works. Nofanity can censor videos up to an hour in length. Nofanity can work on almost every video, as long as the audio is fairly clear. Nofanity will also remove swear words from YouTube comments. You can change how strict Nofanity's swear filter is (Light, Moderate, or Aggressive). CurseSearch results are uploaded to our database, which means videos that have already been CurseSearched by other people will be filtered faster. To watch a short demo of the app, click on the video above. 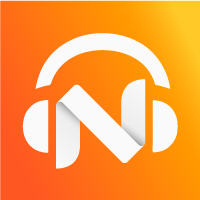 Download Nofanity for Windows or Mac. Your computer must have either Windows 7 or higher or macOS Sierra or higher. Who created Nofanity and why? Nofanity was developed and is currently maintained by Roman Scott, a year-old developer. It was created in order to make YouTube content more child and teen-friendly and to increase the appeal of videos amongst parents. Nofanity's accuracy depends on the quality of the audio in the video. If the audio is clear, most swear words will be censored. If the audio is hard to hear, murky, or fast-paced, accuracy will decrease. In music videos, sometimes Nofanity will not be able to detect some of the swear words. In addition, CurseSearch will only work on English videos due to the way the speech algorithms were created. If a video cannot be CurseSearched, Nofanity will warn you ahead of time. How do I sign up for Nofanity or change my settings? Once you have downloaded the desktop application, you will be prompted to register and subscribe from inside the app. You can change your settings by clicking the gear icon in the navigation bar (the top part of your screen). Here, you can change things such as how strict your Swear Filter is, what Nofanity does when it detects a swear word (play a beep noise or mute the video temporarily), or cancel your subscription. Nofanity is only supported on Windows and Mac computers and laptops. It is helpful if your computer is fairly recent (has 4GB of RAM and two processor cores, or more), as it will significantly decrease CurseSearch times (due to how computationally expensive speech recognition is). Nofanity works by utilizing some speech recognition tools and natural language processing algorithms. CurseSearch, our censoring process, runs these tools on your computer in order to find the swear words. Nofanity only works when YouTube videos are viewed through the Nofanity application. If they are viewed in a regular web browser, the videos will not be censored. Why aren't the swear words censored out yet? Nofanity can only detect swear words on videos that have been CurseSearched. If a video has not been CurseSearched yet, or is still in the process of being CurseSearched, swear words will still be in the video. Once CurseSearch has finished, the swear words will be removed. How long does CurseSearch take? Depending on the length of the video and your computer's processing power, a CurseSearch can take anywhere from one to five minutes. During this period, swear words will not be removed from the video. However, once the CurseSearch has finished, the results will be stored in our database, so that video will not have to be CurseSearched by you (or other users) again. You can check CurseSearch progress by clicking the dropdown arrow in the navigation bar. Which swear words are censored? Currently, about fifty of the most frequently used swear words are censored. Less used swear words and their variations may not be detected. However, as we improve our technology, we will add less common words. In addition to the video demonstration shown next to the download buttons, Nofanity was recently featured in a CBS news story, where the functionality of the app is further explained and a live demonstration is shown. Click here to watch. Nofanity and Communitext are not affiliated with YouTube or Google in any way. 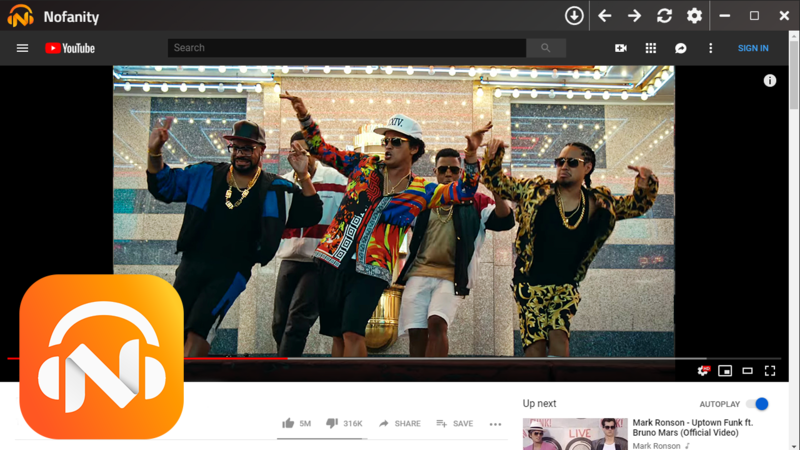 YouTube is a trademark of Google LLC and Alphabet Inc.